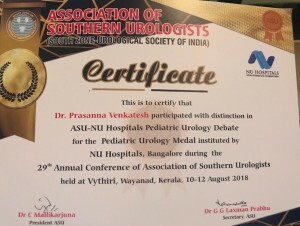 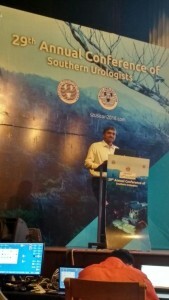 Dr. Prasanna Venkatesh, Sr.Consultant Paediatric Urologist – NU Hospitals Bengaluru won the prestigious Gold Medal in the ASU – NU Hospitals Paediatric Urology Debate at the Association of Southern Urologists meet at Wayanad, Kerala on August 11th, 2018. 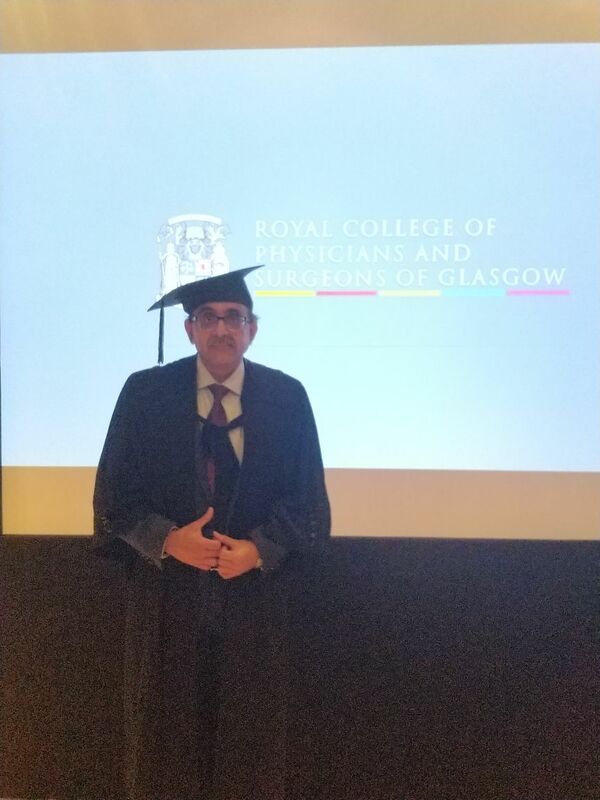 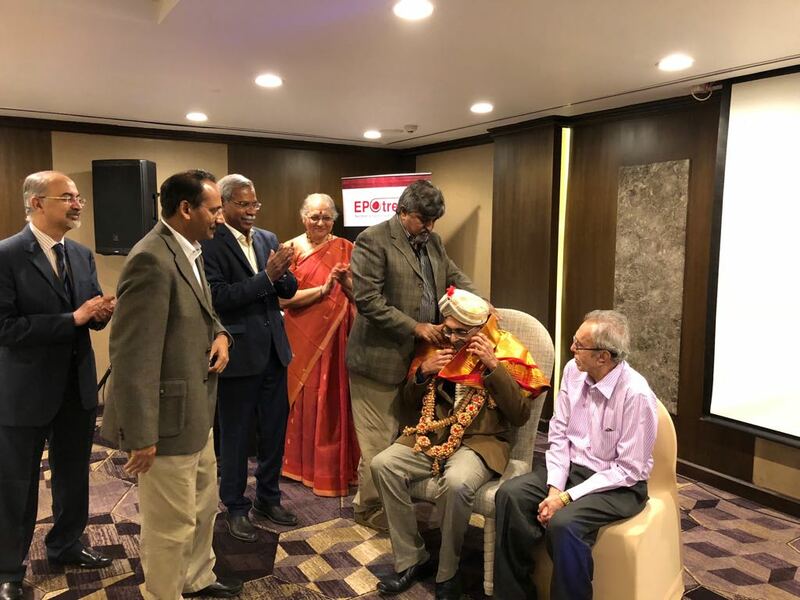 Dr. Dilip Rangarajan – Chief Nephrologist – NU Hospitals, Bengaluru received the Honorary FRCP (Fellow of Royal College of Physicians) – Glasgow – U.K. 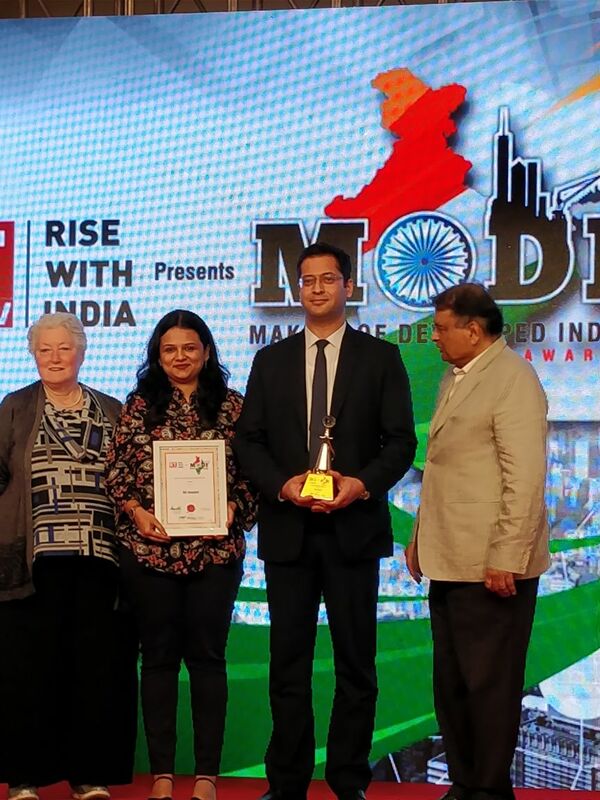 ET Now (Economic Times Now – TV Channel – under their Rise with India initiative) in partnership with World Health Congress have announced the MODI Awards (Making Of Developed India Awards). 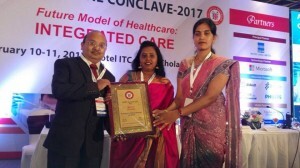 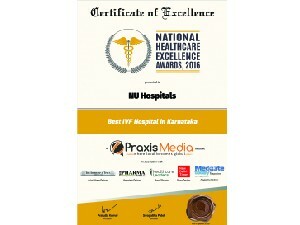 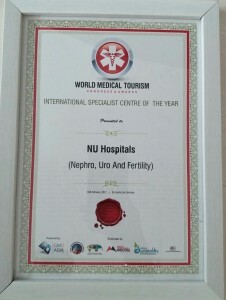 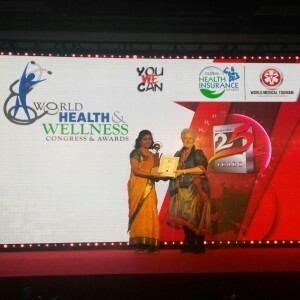 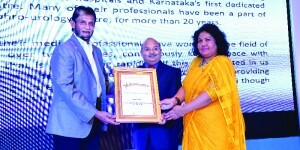 NU Hospitals, Bengaluru won in two Categories. 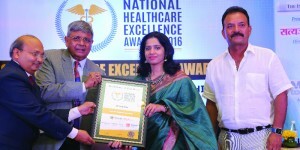 “Best Single Specialty Hospital in the Region” (South India) – The Award was received by Dr. Akshay Dhar – CEO – NU Hospitals. 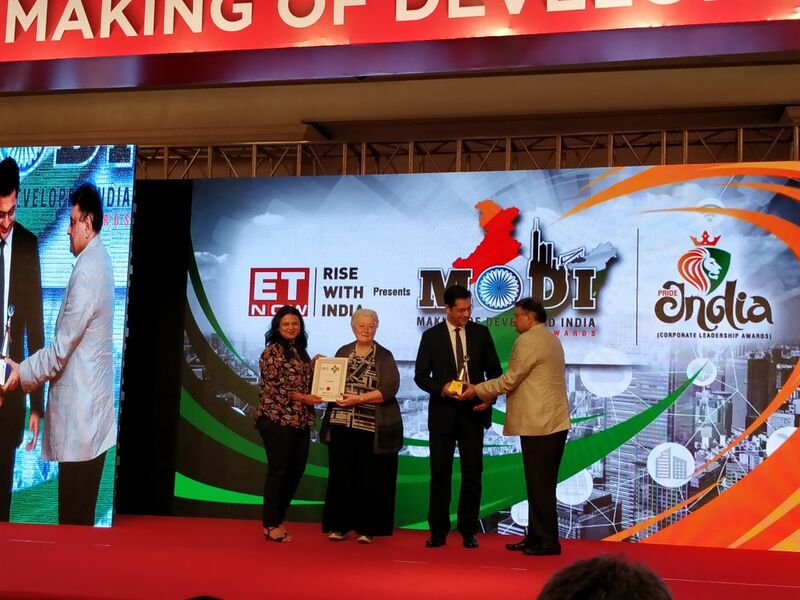 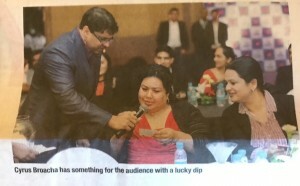 The award ceremony took place at The Taj, Mumbai on 17th February 2018. 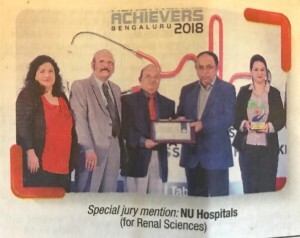 Dr. Dilip Rangarajan, Chief Nephrologist – NU Hospitals was bestowed with the Prestigious Talwalkar Oration by the Nephrology Association of Karnataka – He spoke on “Safety Practices in Dialysis”. 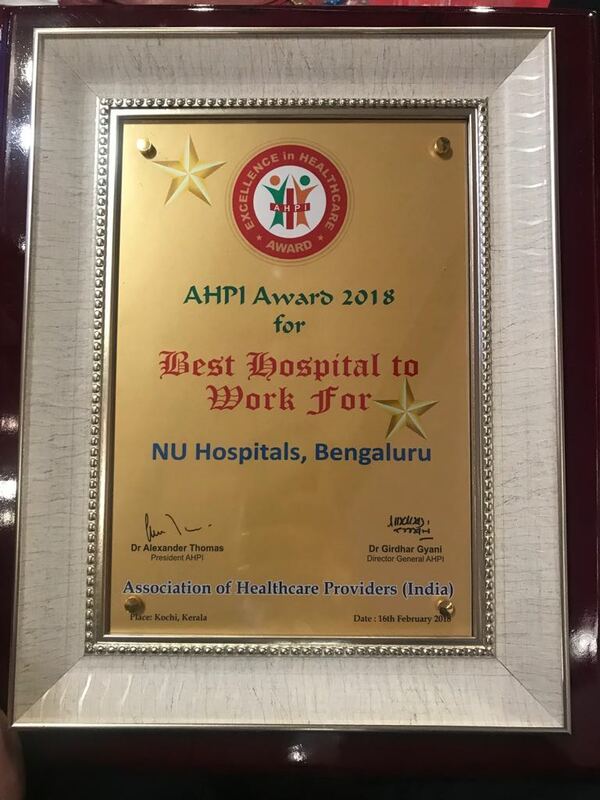 NU Hospitals – Bengaluru has won the prestigious (Associations of Healthcare Providers) – AHPI Healthcare Excellence Award – 2018 in the Category – “Best Hospital to Work for”. 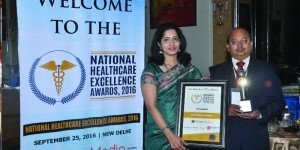 More than 360 hospitals had applied for it nationwide. 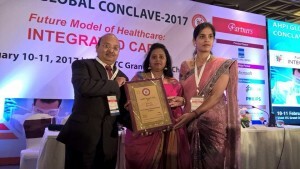 The award ceremony took place during the AHPI Global Conclave on the 16th February 2018 at Hotel Le Meridien, Kochi. 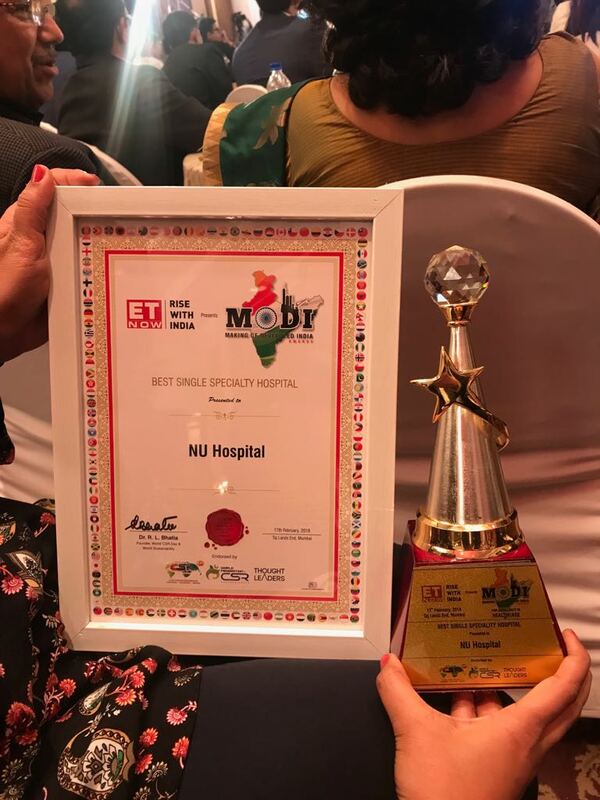 The award was received by Mrs. Sahana Pai – Manager HR – NU Hospitals, Mrs. Sahana Paul – Manager Operations – NU Hospitals, Padmanabhanagar, Mr. Narayanamurthy – Manager Operations and Admin – NU Hospitals, Rajajinagar and Dr. Akshay Dhar – CEO – NU Hospitals. 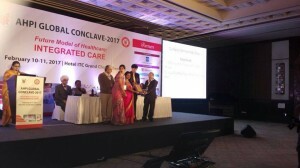 The Award was presented by the Hon. 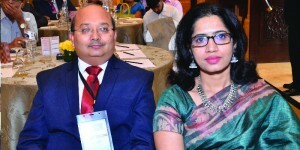 Minister of Health – Kerala K. K. Shailaja and Metropolitan Archbishop of Thrissur Mar Andrews Thazhath. 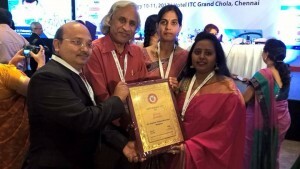 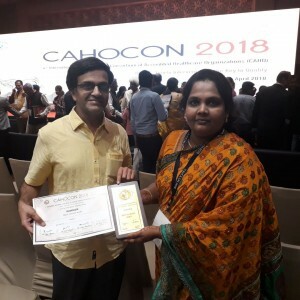 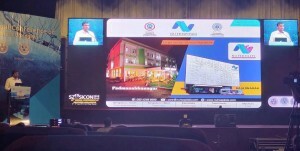 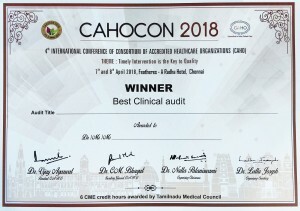 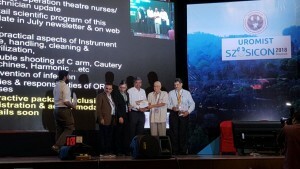 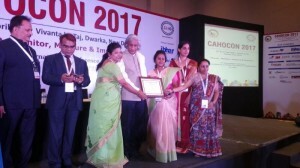 NU Hospitals- Videos awarded the second prize in the CAHOCON, at New Delhi, All-India level. 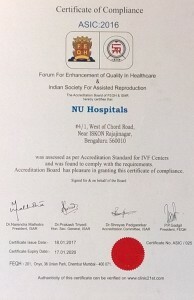 We are proud to announce that NU Hospitals and the Department of Reproductive Medicine has been Accredited by the FEQH and ISAR (Indian Society of Assisted Reproduction) for the IVF Centre at NU Hospitals, Rajajinagar. 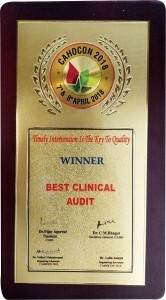 This is the second IVF centre in India to get this accreditation!